Casio America, Inc. announced today that, effective July 13, four of its LampFree projectors, including the XJ-F210WN Advanced Series Projector, have received TCO Certification. TCO Certified is an international third-party sustainability certification for IT products administered by TCO Development, a non-profit organization based in Sweden. The four projectors meet the latest TCO Certified Projectors 2.0 criteria, and they are the first lamp-free projectors to receive this certification. According to Futuresource Consulting, Casio holds a global market share of 73 percent for solid-state illumination (SSI) light source projectors with 2,500 lumens or more, which is bright enough to use in a fully lit room. 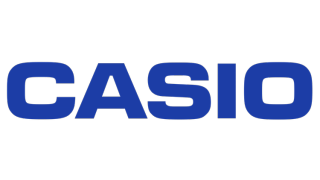 Since 2010, Casio has used laser and LED light sources in all of its projector models, including those for the classroom. By eliminating the use of hazardous and expensive mercury lamps in its projector portfolio, Casio’s LampFree solutions boast a 20,000-hour estimated operating life and use half the amount of power per unit than traditional lamp-based projectors. TCO Certified products meet life cycle criteria for environment, health and safety, ergonomics, and socially responsible manufacturing. In order to be TCO Certified, products must undergo rigorous verification of multiple factors in all phases of the product life cycle, including socially responsible manufacturing during the manufacturing phase; safety, product lifetime, and energy efficiency during use; and elimination or reduction of hazardous substances and recycling at the end-of-life phase. TCO Certified Projectors 2.0 criteria also require that products meet criteria for high-quality display image and be equipped with an Eco Mode that consumes less energy and reduces the acoustic noise level. Additionally, the projector and all assemblies and sub-assemblies of the product must not contain mercury or other hazardous substances, and the total amount of mercury used in the lamp must be declared. Casio’s TCO Certification reinforces the company’s dedication to safety and the environment with its LampFree Technology. This dedication provides educators a safe, money-saving tool in the classroom as the new school year is set to begin. By combining a laser and LED light source, Casio LampFree projectors are a unique, high-brightness, mercury-free tool that uses half the amount of power per unit than its traditional lamp-based counterparts. These LampFree offerings save educators time and money because they require minimal maintenance and eliminate the cost of replacement lamps. Casio LampFree projectors have a 20,000-hour lifespan, which is the equivalent to approximately 18 years of school use. That means that schools can save nearly $2,500 when compared to traditional mercury lamp projectors. Additionally, in an industry where most projection lamps come with only a 90-day warranty, Casio backs its design with three to five years, depending on the projector.